NEW YORK (Reuters Health) – More parents are putting their babies to sleep next to them in bed, a new study suggests. NEW YORK (Reuters Health) – Being born just a couple of weeks early may influence a child’s long-term education and job prospects, hints a new study from Finland. Researchers found that infants born “late preterm” – between 34 and 36 weeks – were more likely to be manual workers and earned less money as adults than their peers who were born on time. 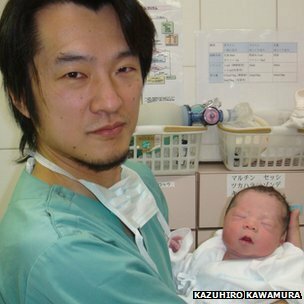 A baby has been born through a new technique to “reawaken” the ovaries of women who had a very early menopause. 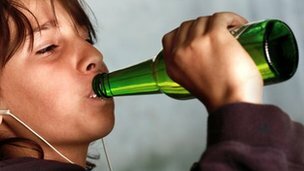 Revealing UK-wide data for the first time, it said a total of 6,500 under-18s were admitted with alcohol-related illnesses in 2012-13. The data came from 125 of the 189 UK NHS organisations following Freedom of Information requests. More girls than boys are now being admitted, a reversal of the past trend. (Reuters) – Eli Lilly and Co on Monday said the federal government has unfairly blocked patient access to its Amyvid diagnostic test for Alzheimer’s disease by denying reimbursement for such products, and said a requested new study of the test could create additional delay. “We are committed to this space and aren’t letting this product go by the wayside,” Eric Dozier, senior director of Lilly’s Alzheimer’s business division, said in an interview. 1 of 8. Daniele Fabbricatore, 39, holds his week-old daughter Gabriella, who is kissed by her maternal grandmother Vanita Patel, outside the Akanksha IVF centre in Anand town, about 70 km (44 miles) south of the western Indian city of Ahmedabad August 26, 2013. ANAND, India, Sept 30 (Thomson Reuters Foundation) – Dressed in a green surgical gown and cap, British restaurateur Rekha Patel cradled her newborn daughter at the Akanksha clinic in northwestern India as her husband Daniel smiled warmly, peering in through a glass door. Shared decision making refers to a set of principles that can be employed by patients and their physicians to explicitly incorporate patient preferences and values into clinical decision making. Past research shows that patients, who have an enhanced knowledge of their medical conditions and treatment alternatives, demonstrate a reduced anxiety when it comes to medical decision making.